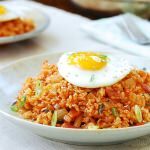 This Korean curry rice is a delicious, comfort food we all grew up eating! 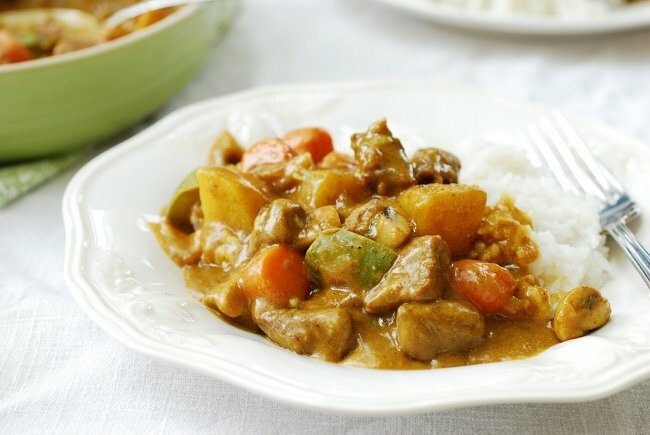 The instant curry mix makes this dish so easy to make. 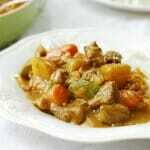 Add lots of meat and vegetables to make it a hearty dish everyone loves. Made with instant curry mix, Korean curry rice (ka-re-raice, 카레라이스) is a stew-like curry sauce served over rice. 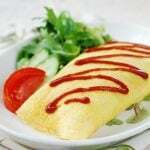 It’s one of those dishes that were introduced to Korea by the Japanese and have become a staple in Korean homes. 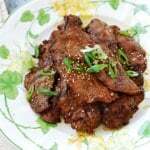 Korean version of the sauce is generally lighter, which makes it so good eaten with kimchi. It’s a hearty, comfort food we all grew up eating! 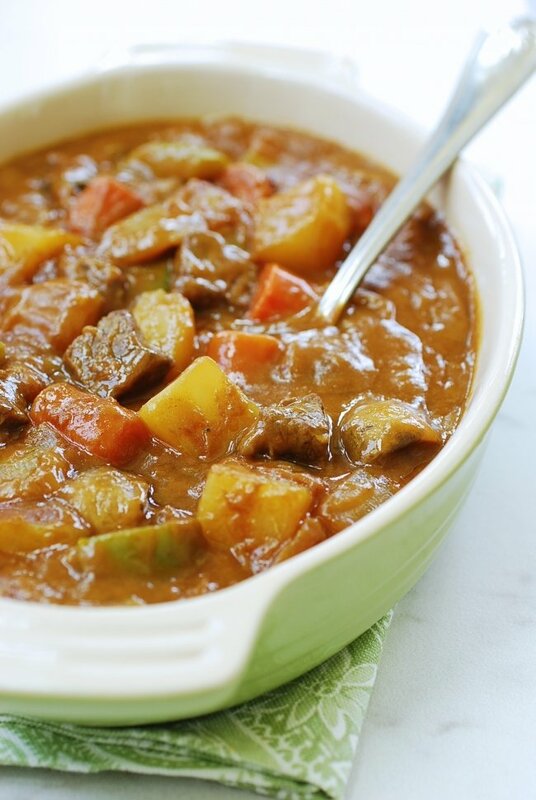 The instant curry mix makes this dish so easy to make. In Korea, the powder form is more commonly used, but today, curry blocks (aka curry roux) have become popular as well. 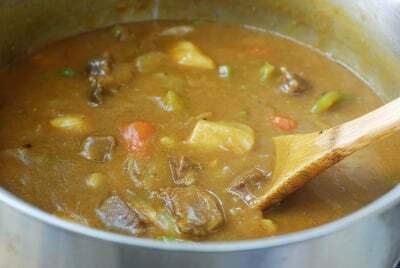 The curry roux is made with fat, so it has a richer taste and makes the sauce thicker. I used a curry roux here, but if you’re concerned about the fat content of the roux, use curry powder mix. 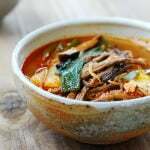 The Korean curry rice is usually made with meat and lots of vegetables. I used beef in this recipe. You can, of course, use any meat of your choice. Onions, potatoes and carrots are typical for this dish. I also like to add mushrooms and a green vegetable such as green bell pepper, peas, zucchini, broccoli, or scallions. Next time you go to a Korean (or any Asian) market, pick up a box (or pouch if it’s powder) of curry mix. It comes in handy when you want to whip up a satisfying one pot meal at a moment’s notice! 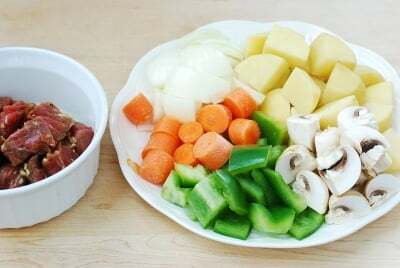 Cut the meat into small bite size pieces. Lightly sprinkle with salt and pepper. Dice the onion, and cut the other vegetables into bite size chunks. Heat a large pot with a tablespoon of oil. 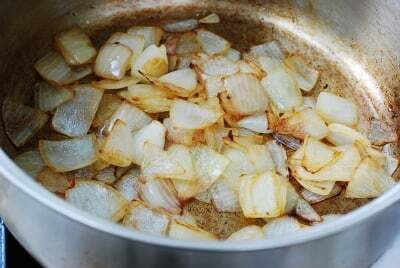 Add the onion, and stir-fry until it turns translucent and light brown. 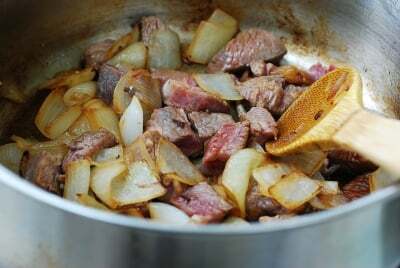 Add the meat, garlic and ginger, and cook until the meat is no longer pink. 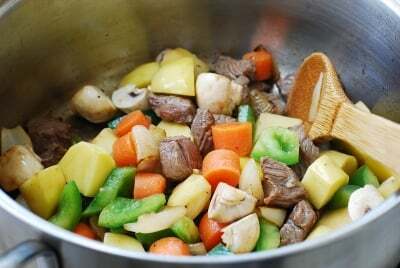 Add the remaining vegetables and stir fry until potatoes turn translucent and partially cooked. Pour the water (or chicken broth) into the pot. Bring it to a boil, and continue to boil for about 10 minutes until the meat becomes tender. 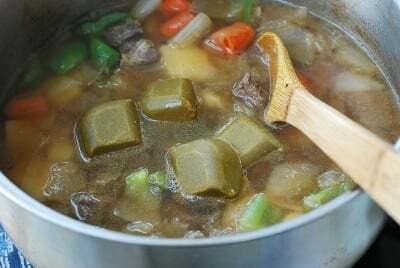 Break up the curry roux into small cubes. Drop them in, and stir well to dissolve. 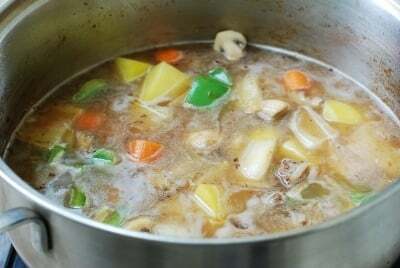 Reduce the heat to medium low, and gently boil until the sauce is thickened. Serve over steamed rice. Add more water if too thick. This is such a great meal for when I don’t have time to cook something more detailed. I added in some zucchini instead of green peppers and used the powdered curry mix, but it came together so quickly and easily and was delicious! It looks delicious and I definitely would try it. I’m making such a dish but without curry. I’m sure the curry mix will give the meal a great taste. 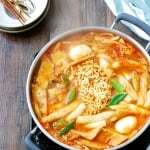 Korean curry has always been my favorite. 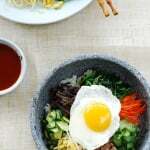 I have tried it quite a few times in Korean specialty restaurants. Will definitely try it at home now. Thanks a lot for sharing! Looks super delish! But if I can’t get the cubes, what should I mix to get the same curry flavour?? 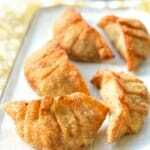 I REALLY want to make this dish! There are also premade curry powder mixes in Korean markets. You will need one of these two for this dish unless you make from scratch!